Heating element is an electrical device which converts electricity into heat. 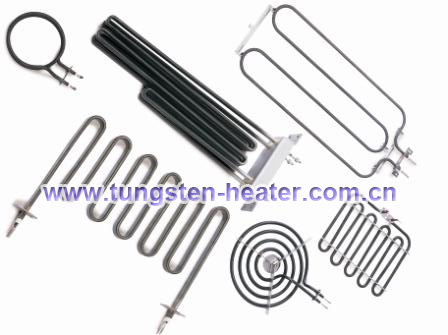 Heating elements are used in things like heaters,dish washers, stoves, hair dryers, ovens, coffee makers, toasters, and all sorts of other devices which generate heat to function. Heating elements consist of coils of wire, which may be wrapped in insulating materials or protective materials, depending on where they are used. When electricity passes through the wire, it encounters resistance, thus generating heat. The amount of heat generated can be adjusted by varying the amount of current passed through the wire, which may be done with an automatic thermostat or with manual settings operated by the user, as when someone turns the stove on high to boil water, or keeps it on a low heat setting to make a delicate sauce. Heating elements commonly burn out over time. For this reason, they are often designed in an accessible way so that it is easy to pull out a faulty heat element and replace it with a new one. Since replacements can sometimes be expensive, it is advisable to conduct some tests to confirm that the heating element is the problem; for example, heat may not be generated because no electricity is reaching the element, which may be because a fuse has blown, because there is a problem with the wiring, or for other reasons. Heating elements are capable of getting quite hot. 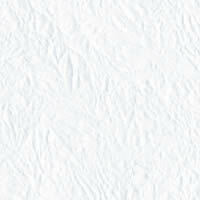 They are made from metal alloys which are well suited to use as heating elements in part because they can withstand multiple heating and cooling cycles. In environments which get wet, the heating element may be hidden behind a barrier for safety. The barrier will disperse the heat without allowing water to come into direct contact with the element. Domestically, water is traditionally heated in vessels known as water heaters, kettles, cauldrons, pots, or coppers. These metal vessels heat a batch of water but do not produce a continual supply of heated water at a preset temperature. The temperature will vary based on the consumption rate of hot water, use more and the water becomes cooler. Appliances for providing a more-or-less constant supply of hot water are variously known as water heaters, boilers, heat exchangers, calorifiers, or geysers depending on whether they are heating potable or non-potable water, in domestic or industrial use, their energy source, and in which part of the world they are found. In domestic installations, potable water heated for uses other than space heating is sometimes known as domestic hot water. Electric heating is any process in which electrical energy is converted to heat. Common applications include heating of buildings, cooking, and industrial processes. Tungsten heater made of tungsten wire, features high melting point and high corrosion resistance, mainly applied for vacuum metallizing, such as aluminizing scope, chrome scope, mirrors, plastics and heater elements for decoration articles. 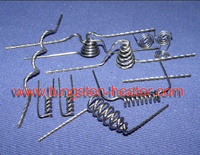 Tungsten heaters can be stranded into single or multi wires according to the samples or drawings of customers. Pure wire and doped wire are both available. Diameter of tungsten wire: 0.2-1.2mm. If you have any interest in our products, please feel free to contact us by email:sales@chinatungsten.com sales@xiamentungsten.com or by telephone:+86 592 5129696.